Beautiful men's watch in titanium with sapphire glass. 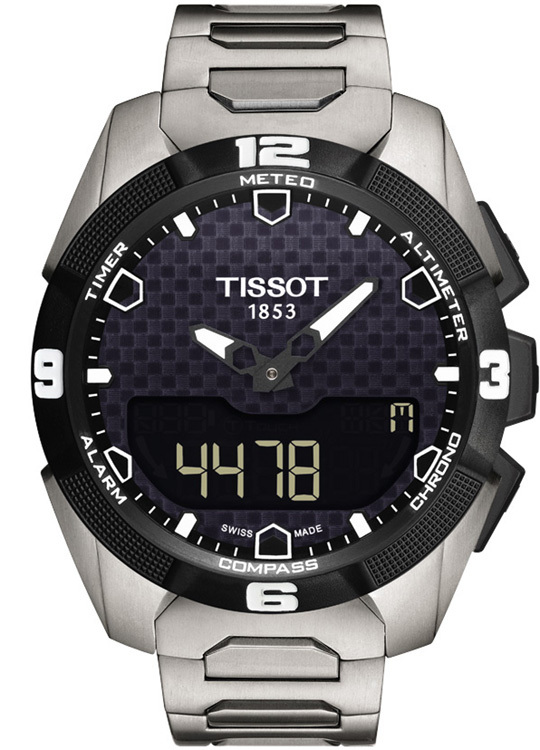 The watch is with titanium bracelet, highlighted by the beautiful carbon coloured solar dial. 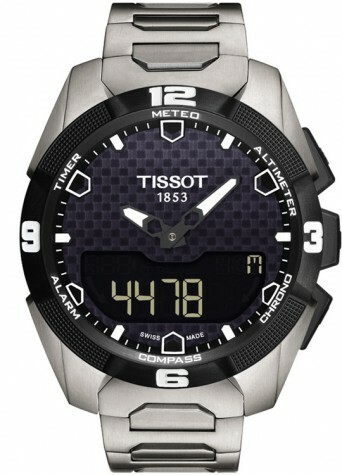 The watch is also water resistant to 10 ATM and equipped with a solar power (quartz) movement. It contains 25 functions which are activated by touching the glass. This watch makes you feel like you are Tom Cruise in Mission Impossible. It does all most everything, most days I don't use any features. But I still find it it very cool especially the compass and the fact that it is solar powered. Also it is very light to wear.